Percipia and Cetis. In partnership to deliver best-in-class PBX phone system/hotel phone integration. Cetis designs, engineers, and manufactures a broad range of analog and VoIP Teledex, TeleMatrix, and Scitec brand hotel phones. In 1982 we introduced the ﬁrst hotel phones with programmable guest service keys and a customizable faceplate area. In 1990, we introduced Diamond Series hotel phones, which continue to be recognized as the most popular hotel phones in the world. Since 1982, hundreds of Cetis channel partners have installed more than 30 million Cetis hotel phones at 100,000 locations globally. Whether you are seeking an upgrade to your present phone system, or have a new construction project planned or underway, we put the Cetis/Percipia partnership to work for you. Percipia is not only a premier Cisco systems provider, but also offers a wide range of voice/data solutions, mobile applications, HSIA, wireless, networks, technology procurement, and professional services to serve the needs of the global hospitality market. 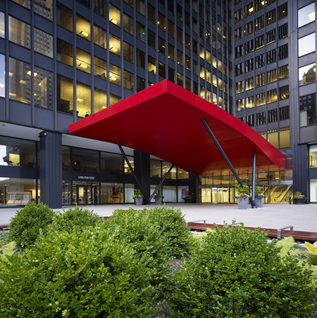 Percipia is headquartered at 205 North Michigan Avenue, Suite 860 in downtown Chicago. Percipia is headquartered in downtown Chicago, Illinois on the prestigious Michigan Avenue. With a director team with than 30 years of cumulative hotel industry experience, Percipia is a premier provider of voice applications for Cisco in the hotel industry, with the most worldwide installations in North America, Europe, the Middle East, and Asia. Click and submit to subscribe to the Cetis eNewsletter.